January 5, 2016 — Sister Mary Anne Nelson, CSJ, founded the music industry program at The College of Saint Rose in 1981 and has directed it ever since. She’s why Billboard has thrice named Saint Rose to its lists of the top music business programs in North America. She counts The Beatles, the Red Hot Chili Peppers and Ani DiFranco as among her favorite music, and she’ll frequent student hangouts to observe and support her students. And now she’s been profiled in a feature story heard on WAMC/Northeast Public Radio. 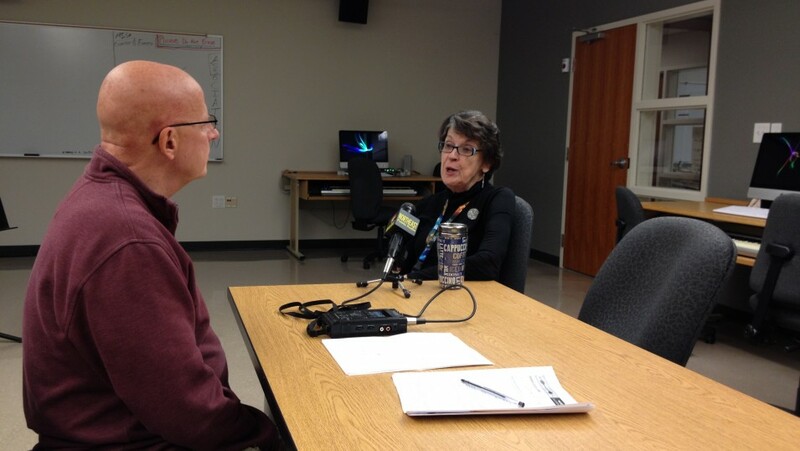 Listen to WAMC’s story about Sister Mary Anne, her contributions to the music business and her dedication to her students here.